Happy New Year to Darren and Kathie fans everywhere! 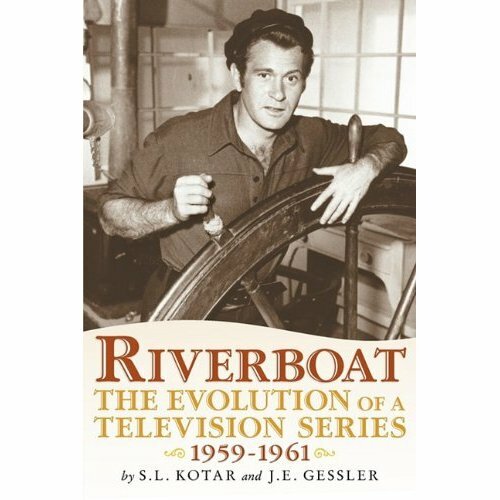 We are proud to announce that our book, “Riverboat: The Evolution of a Television Series” is now available for sale. The text includes commentary and discussion on each episode, a behind-the-scenes look at the trials and tribulations of the series and numerous, never before published production stills. The book may be purchased at Amazon.com for $24.95. We will be glad to autograph copies sent to us. If your interest in riverboats goes beyond Darren, we also invite you to buy our other text, “The Steamboat Era,” also available through Amazon. We hope you enjoy the read and look forward to hearing your comments. There are several things in the works for the web page. First, we are planning to expand the “Night Stalker” pages in honor of Kolchak’s upcoming 35th anniversary. To get an early start, if anyone has unique jpegs from the films or the series, or candid photos of Darren or Kathie and they would like them included in the new “Night Stalker” photo gallery, please send them to us at GSFE@aol.com. Second, to honor the many requests we have had, we have written a book covering Darren’s second series, “Riverboat” from the inside out — a detailed examination of the series, plot summaries, behind-the scenes examination of how the show was put together and how it developed, an historical look at Western riverboats, as well as unpublished candid and posed photographs of the series. Keep checking back here for more details. 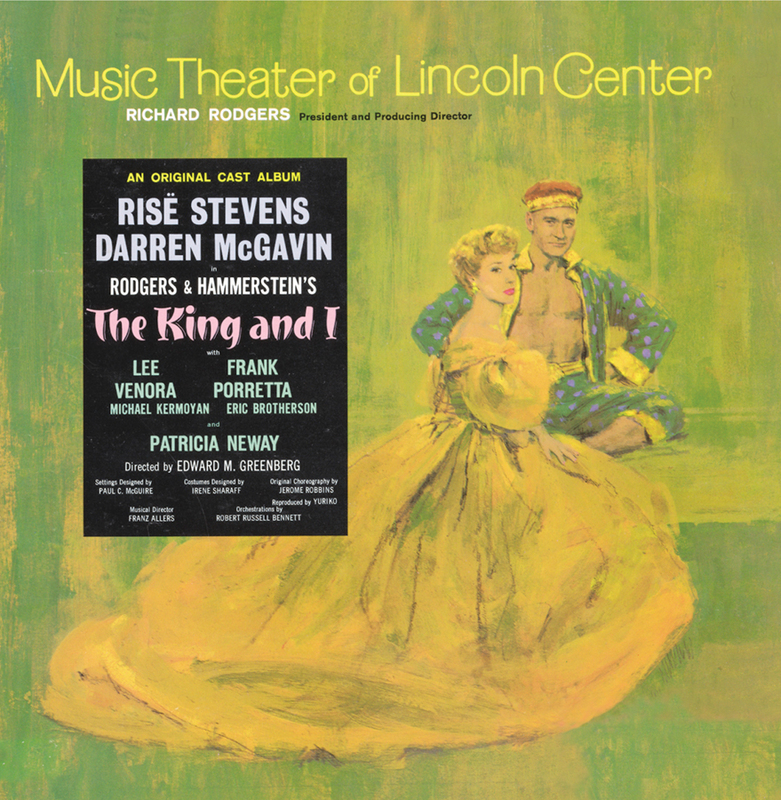 Darren sings in two musical numbers: “A Puzzlement” and “”Shall We Dance?” The album was recorded at the Hotel St. George, Brooklyn, NYC in 1964 and for those who never had the opportunity to see or hear Darren in this production, the new CD is the next best thing. The release date is August 29, 2006 and should be available in stores. See also the web site, www.sonybmgmasterworks.com. For other Darren McGavin or Kathie Browne works on DVD (including episodes of “Riverboat,” the TV film “The Challenge” with Mako, or other titles from their credit lists, please email GSFE@aol.com. He was born William Lyle Richardson in Spokane, Washington, and we knew him as Darren McGavin. What’s in a name? The instant mind recognition of a red-haired, freckled-faced actor with a twinkle in his eye and a haughtiness about his demeanor. A man who rose from his own troubled childhood to becomes America’s best friend and the father we all recognize. If you’re willing to admit your memory goes back as far as live television, your first memory of Darren might be the pesky, hard-nosed crime photographer, Casey. You might think of him as Mike Hammer, the tough-talking character you’d hire to solve a perplexing mystery and then sit down to have a beer with — but you wouldn’t get too close. 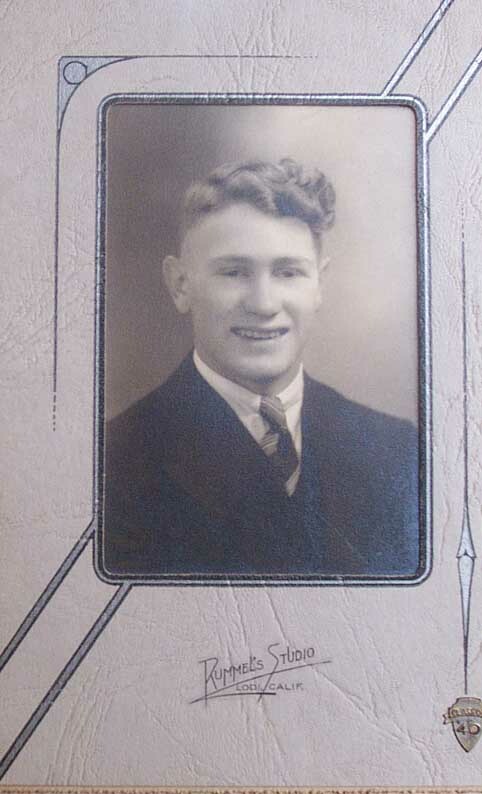 If your fantasies took you to mid-century in the 1800’s, you might know him as Grey Holden, captain of a riverboat. Quick with his fists and never without a wink for the ladies, you might consider him responsible for recruiting DeForest “Bones” Kelley for his first trip aboard a boat called Enterprise. Then again, being a lonely sort, you might hunt up an Outsider named David Ross. With a prison sentence behind him and a raw, edgy attitude toward life, you may have passed him on the street and never known it. Ross’s alter ego had a way of being Everyman. 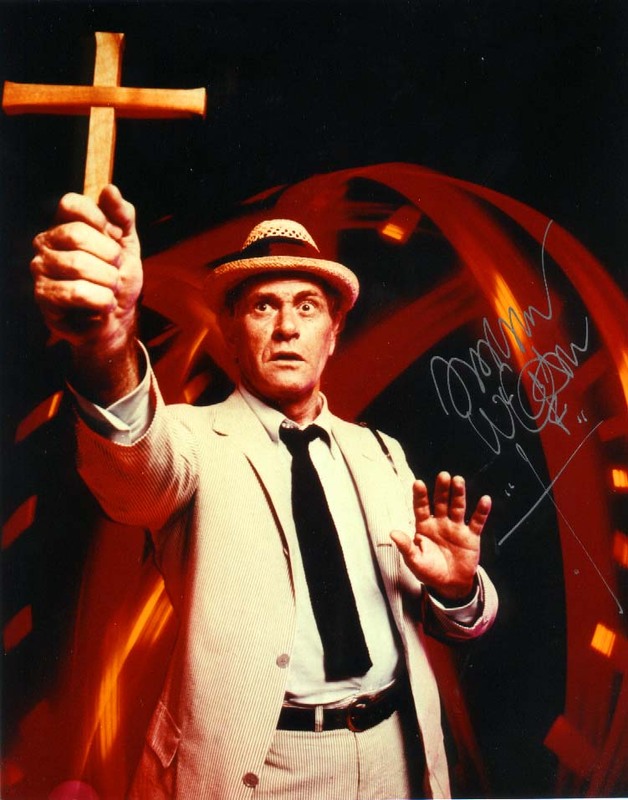 In the 1970’s, donning a porkpie hat, a seersucker suit and wielding a wooden cross, Darren saved us from vampires, werewolves and those aliens which would have defied belief had any but Carl Kolchak offered battle. His two telefilms, “The Night Stalker” and “The Night Strangler” shattered existing ratings numbers and led to one of the most cherished TV series of recent memory. (It was recent, wasn’t it? It seems like yesterday when we were young and gullible and looked under the bed for monsters.) Knowing Carl Kolchak was there beside us gave even the most timid faith. With superbly crafted nuisances, Darren slithered his way across the big screen in “The Man with the Golden Arm,” stealing scenes as easily as his character sold narcotics. Donning a cowboy hat and casually slipping between the centuries, Darren guest-starred on GUNSMOKE, playing outlaw Lon Gorman (with Simon Oakland at his side) in an episode entitled “Hostage.” Those two would hitch up later, recreating a chemistry rare in any medium.) Later, as gunfighter Joe Bascom, Darren would be nurtured back to health by France Nuyen in one of the most outstanding guest-star episodes that sacred series ever produced in its long, distinguished twenty-year run. For those of us who grew up beside him, Darren never got old. Watching his brilliant portrayal of a washed-up actor on “Distant Signals,” we were amazed — not when the kindly alien fan made him young — but to see him play Van Conway as old and forgotten. In our hearts, we knew THOSE were the scenes which required imagination. Darren gave as a fascinating insight into his character and how he saw himself by the films he and Kathie produced through their own production company. “B Must Die” was a poignant film about mistaken identity and a man on the run, whose death, at the end, diminishes us all. “Happy Mother’s Day, Love George (aka “Run, Stranger, Run”) which Darren directed, reunited he and Kathie with Simon Oakland and gave both Patricia Neal and Ron Howard a chance to showcase their talents under his knowing touch. Then, out of nowhere came “instant recognition” by way of an obscure film called “A Christmas Story.” Fourth or fifth on the “want list” to play the father, Darren accepted the role and began filming practically overnight. Endearing the “Old Man” character with a wistful, gullible, mile-a-minute McGavin trademark, Darren unknowingly catapulted himself into holiday immortality. Probably more surprised than anyone that the film found a new life on television, he accepted his new role as “Father of his Country” with a grace and charm which those who knew him adored. Live television, theatrical releases, guest star, series regular, Broadway actor, musical performer, writer, director: Darren McGavin wore many hats to go with his many names. What was his greatest contribution? Being a beloved part of yours and ours and everyone’s family, of course. Please take a moment in your sadness to reflect upon all the ways Darren touched your lives, say a prayer and raise a glass to toast a career which spanned over fifty years and affected us all in ways too numerous to count. Variety announces that ABC Television has cancelled the remake of “The Night Stalker” after airing six episodes. Three episodes remain unaired. Ratings were poor, last week dipping to under 4 million viewers and a 1.4/3 in adults 18-49. Perhaps people were viewing the newly released DVD set of the real NIGHT STALKER and didn’t have any interest in seeing anyone else play Carl Kolchak but the great Darren McGavin…. A new link titled called “Scrapbook!” has been added to Darren and Kathie’s web page. It contains personal photos of Darren and Kathie on vacation, and several of them on their beloved riverboat, La Poursuite du Bonheur. It also contains recent photos of Darren. Please use the link on the left to view Scrapbook! For those interested in theatre, take the opportunity to check out the hand-drawn playbill Darren created for the play “Night Must Fall,” located in his theatre credits link. 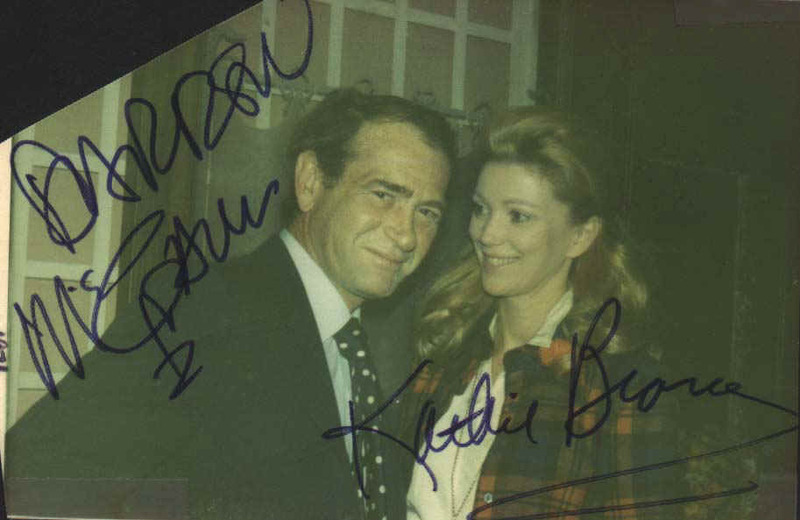 Welcome to Darren McGavin and Kathie Browne’s Authorized Internet Web Site. 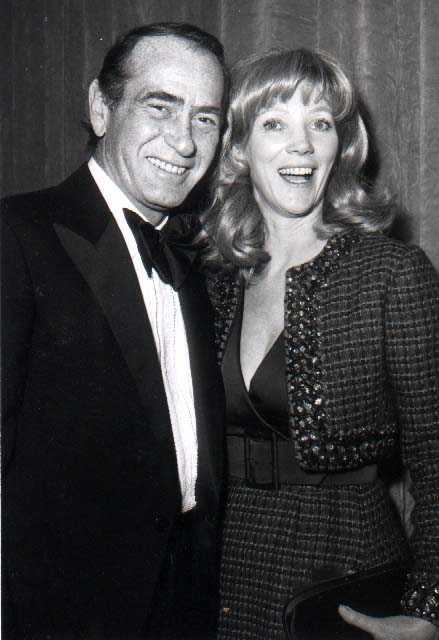 This site is dedicated to Darren McGavin and Kathie Browne (Mrs. Darren McGavin), two actors whose careers range separately from Darren’s first college stage production of “Lady Windermere’s Fan,” onto starring roles in CASEY, CRIME PHOTOGRAPHER (1951-52), MIKE HAMMER (1958-59), RIVERBOAT (1959-60), THE OUTSIDER (1968), KOLCHAK: THE NIGHT STALKER (1974) AND SMALL & FRYE (1983), to playing a recurring role on “The X-Files.” One of Kathie’s earliest professional roles was a guest star appearance on the great television western, GUNSMOKE. She went on the have starring roles in SLATTERY’S PEOPLE (1965), HONDO ((1967), and as the only female regular ever cast for BONANZA (1963-4). In her career, she made over 50 guest appearances in films and episodic television. Darren’s professional acting career began in 1944 with an off-Broadway play. Following this were several uncredited film parts, then more significant, speaking roles. Crisscrossing the country from Los Angeles to New York, he appeared in live theatre and film productions, including a starring role in the National touring company of “Death of a Salesman,” before landing the starring role in his first television series, “Crime Photographer.” Darren replaced Richard Carlyle in the title role on May 3, 1951. After the series was cancelled, Darren worked in many live and kinescope television productions, while also continuing his brilliant success on the stage, where he occasionally directed and produced works while pursuing his acting career. Following many notable successes, came significant co-starring roles in three major films: “The Man With the Golden Arm,” with Frank Sinatra, “The Court-Martial of Billy Mitchell,” with Gary Cooper, and “Summertime,” with Katherine Hepburn. 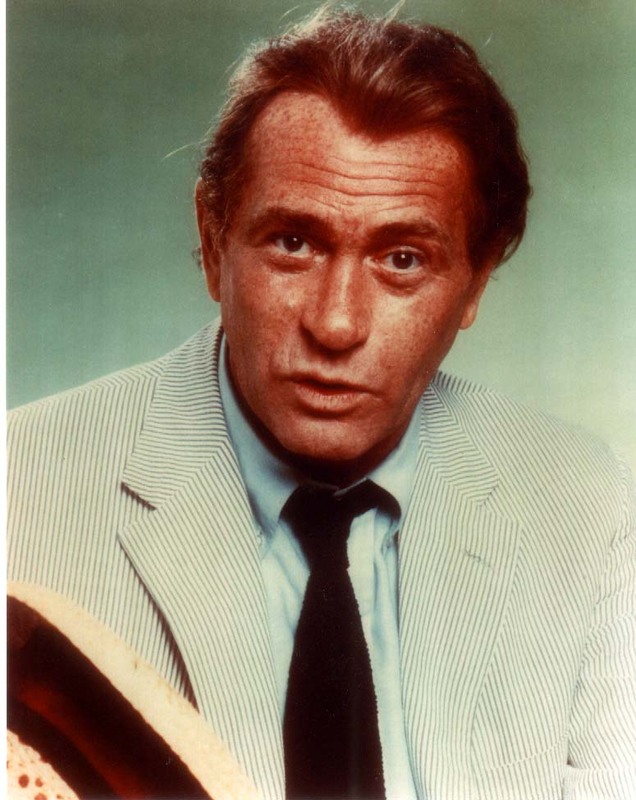 For nearly sixty years, Darren McGavin has deeply touched, and become an intimate part of the lives of every television aficionado, film buff, theatre patron and audio-book listener, establishing him as one of America’s most beloved and cherished actors. Kathie Browne’s early professional film career was highlighted in 1959 with an episode of GUNSMOKE, entitled “Cows and Cribs.” (Her first name was misspelled as “Cathy” in the credits. She would also be billed as “Cathie” on other early film appearances. ) Besides co-starring roles in three series, her guest-star appearances total over fifty, including (at latest count) eleven acting credits with Darren. Kathie is probably best recognized for being Adam Cartwright’s fiancé in four episodes of “Bonanza” during the 1963-64 season, but her most memorable part has to be that of Lieutenant Irene Lamont, the no-nonsense detective who slapped the handcuffs on Carl Kolchak in “Sentry,” the last episode of NIGHT STALKER. Perhaps the most striking aspect of Kathie’s acting career has been the type of roles in which she was cast, especially given the fact actresses in the 1960’s had extremely little opportunity to move beyond the brainless, fluff stereotypes demanded of female characters. In two separate episodes of “Sea Hunt,” Kathie played a specialist in radiation exposure, and a scientist developing new techniques in bionics. She was a clever con-artist in the Alfred Hitchcock episode, “Wally the Beard,” as well as in a Gomer Pyle episode, in which she and Ellen Corby used Marines as dupes in their successful scheme to rob liquor stores. Kathie played a music protégée on “Perry Mason,” a sketch artist on “The Outsider,” a mayor in “The Rockford Files,” and, of course, a police detective on “The Night Stalker.” Achieving believability in these roles is a resounding compliment to her strong personality, as well as a demonstration of her innate ability to convey her own pride and intelligence. Kathie produced (under her working name, Katherine Browne) “Zero to Sixty,” a classic “repo” film about the misadventures of Michael Nolan (Darren McGavin). Ripped-off in a divorce hearing, Michael is befriended by a group of repossession professionals whose job is to retrieve high-ticket items from people who are behind on their payments – and know how to keep it that way. In this film, “behind” has a double-entendre, for Michael is “repossessed” on his bare “behind” as part of his initiation into the “club.” (There is also another “revealing” scene later in the film, while Michael dresses after spending the night with Joan Collin’s flaky character.) It’s a funny, action-packed, entertaining and ultimately touching work of art. In the Bonanza link, not only have we included the entire script for “The Pressure Game,” (the third of four related “Bonanza” scripts where Kathie portrayed Laura Dayton) we have included the original ending to that script, revealing that Adam and Laura had married and were departing on their honeymoon. Unique to this web site are a series of photographs taken during the rehearsal and the actual shooting of a television play entitled “The Problem Child.” This was the first time Darren and Simon Oakland worked together. Many of the production stills reveal the camera, boom, production staff and/or the marks on the floor, indicating to the actor (but unseen by the audience in the final production) where to stand. These never-before published photos give a good indication of the chemistry between these two actors which would come full circle in THE NIGHT STALKER. We would like to offer our deepest thanks to the following friends who have shared their collections and memories with us: Keith and Sandee Simpson, John Burger, Greg McDonald, Des Martin and Michelle McDaniel. 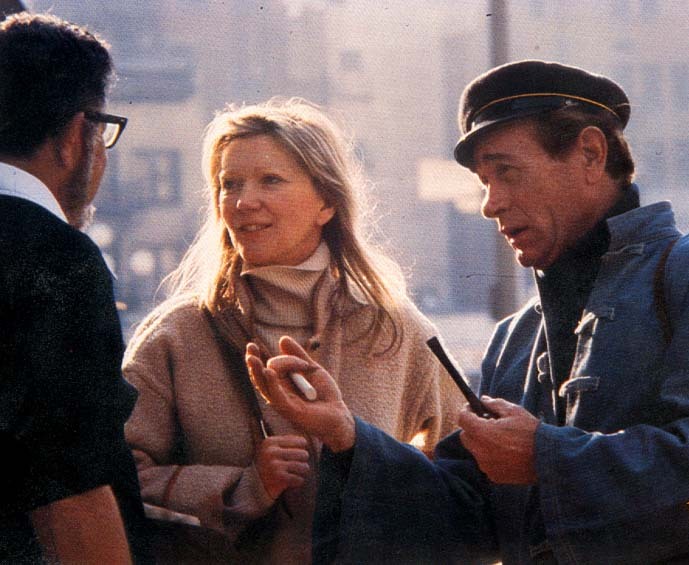 And, of course, to Darren McGavin and Kathie Browne, two of the greatest and most talented people ever to enrich our lives. We hope you enjoy this web page, as well as finding it informative as well as entertaining. We believe the unquestionably vast scope of Darren and Kathie’s work will surprise even the most knowledgeable fans. As the authors of this web page, we assume full responsibility for its content. Unless otherwise specified, we have written all the material. For questions or comments, we may be reached at: GSFE@aol.com.